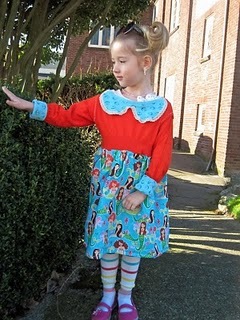 70’s Style Girl’s Dress… with Mermaids!!! this little girl's outfit rocks. i heart mermaids! and the model is a cutie. 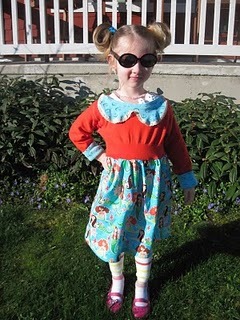 love the hairdo and the cool shades.